Robin's inspiration is sparked by holiday traditions and fantastical movies with whimsical creatures and make believe. robin enjoys bringing these tiny creatures from her imagination into private collections around the world. 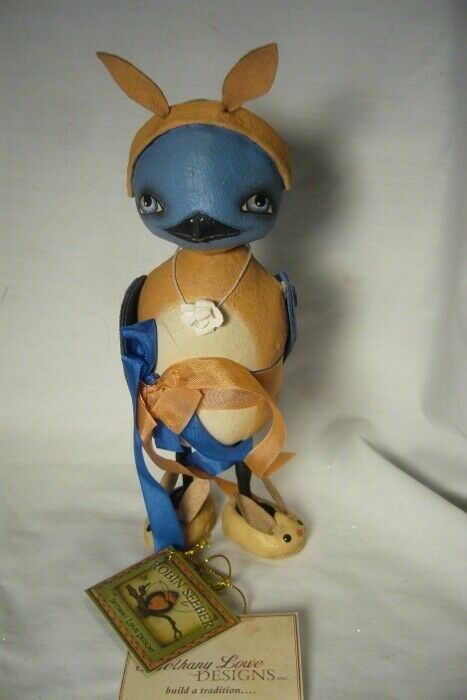 This Cute Bird Creature is Perfect for Spring and Easter. Made from Resin, Canvas, Ribbon,Buttons and Floral Necklace on Cotton Cord.